Fairbourne VillageFairbourne is a seaside village has a population of around 1200 and is situated on the opposite side of the Mawddach Estuary from Barmouth and south-west of Dolgellau. Backed by the Snowdonia National Park, it has a two mile stretch of beach with golden sand from mid-tide level in front of steep pebble banks. Fairbourne was founded by Arthur McDougall of McDougall’s flour. The Fairbourne Miniature Railway was built in 1895 to carry materials for the building of the village; it has conveyed visitors for more than 100 years on its 2 mile long route alongside the beach to Penrhyn Point where there is a small ferry across the Mawddach to Barmouth. 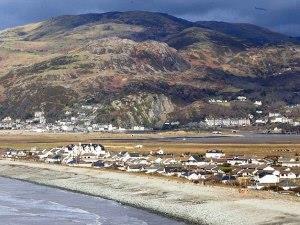 Fairbourne has a station on the Cambrian Coast line from Machynlleth to Pwllheli. 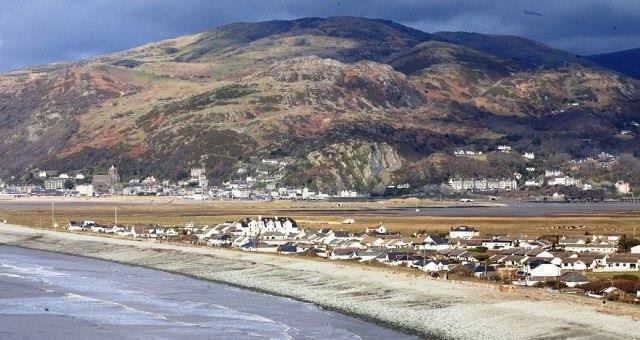 Fairbourne is a seaside village has a population of around 1200 and is situated on the opposite side of the Mawddach Estuary from Barmouth and south-west of Dolgellau. Backed by the Snowdonia National Park, it has a two mile stretch of beach with golden sand from mid-tide level in front of steep pebble banks. Fairbourne was founded by Arthur McDougall of McDougall’s flour. The Fairbourne Miniature Railway was built in 1895 to carry materials for the building of the village; it has conveyed visitors for more than 100 years on its 2 mile long route alongside the beach to Penrhyn Point where there is a small ferry across the Mawddach to Barmouth. Turn off the A493 Dolgellau to Tywyn road at Friog.